San Angelo, Texas is a small city with a population of just under 100,000, yet it thrives with the hustle and bustle of day-to-day work. Those who want to escape the city life and just find a few days of peace and quiet to romance with that special someone in their life might want to consider going just a few miles away from San Angelo. There is an abundant choice of activities, including doing nothing at all. With guest ranches, bed and breakfasts or a 7,600-acre state park, the selection of things to do is as big as Texas. The Hummer House is located 18 miles south of San Angelo, Texas. Located on the banks of the South Concho River, this bed and breakfast is the summer home to a large concentration of hummingbirds. With numerous bird species, deer and wild turkeys, visitors are encouraged to enjoy the wildlife habitat provided by live oak and pecan trees. The Hideaway Cottage is cozy and romantic with guests own private 660 square foot cottage. It has an ornate queen sized bed and a Jacuzzi bathroom with a great room also included. It is perfect for two with luxury bed and bath linens. There is a fully stocked kitchen with dishes and cookware and a selection of complimentary self-catered food items. Offering country comfort and a secluded and quiet place to relax, the Bar B Ranch Retreat is located on a 200-acre working ranch with sheep and cattle. The newly restored historic, two-story ranch house was originally built in 1900. The sprawling ranch was located in four different counties in Texas. With 200 acres of the original ranch left, the house is once again a jewel of a destination to visit. Located 45 miles southwest of San Angelo, it is a great place for a romantic getaway. If travelers want to get away from ringing phones, and the hustle and bustle of the city, they should consider escaping to San Angelo State Park. 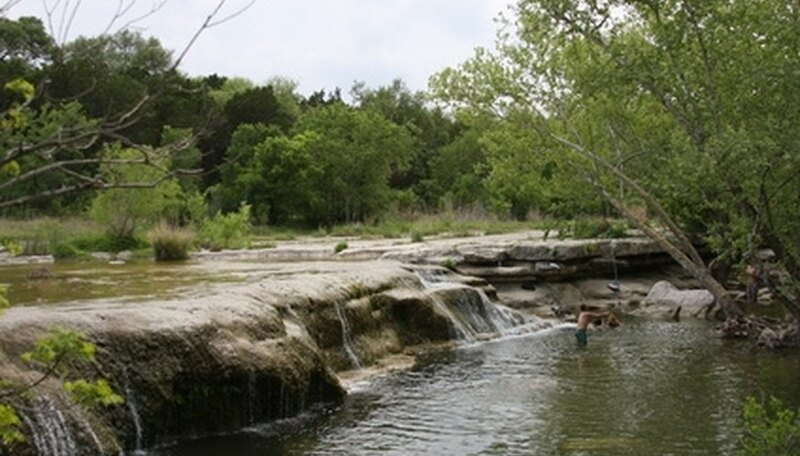 Just outside of San Angelo, the state park has everything that everyone needs to get away from it all and to enjoy some special time with their romantic interest. There is camping, including cabins and RV hookups if couples are not in to roughing it. There are archaeological sites for the history buffs, and horseback riding as well as hiking and picnicking for the outdoor enthusiast. The park also has regularly scheduled tours to check out the local wildlife, nature tours and stargazing parties. Stockstill, Sharyl. "Romantic Getaways Near San Angelo, Texas." Dating Tips - Match.com, https://datingtips.match.com/romantic-near-san-angelo-texas-6157358.html. Accessed 20 April 2019.